Our network is built end to end on carrier grade Cisco ASR routers and Metro Ethernet fiber optic switches capable of multi gigabit speeds. The core of our network has dual redundant ASR 9900 routers which each have redundant power supplies connected to separate, protected, power feeds. These routers are designed for 99.9999% uptime and also offer software redundancy out of the box. Our core switches are designed to operate in extended temperatures and also have dual redundant power supplies and 10Gbps uplinks. We have standardized on a set of equipment so we can carry pre configured spares so in the event of a disaster we can swap parts without delay and keep clients services running. Our clients are typically provided with Cisco ME3400 switches which are incredibly reliable and we are yet to see one fail in six years of running our business. 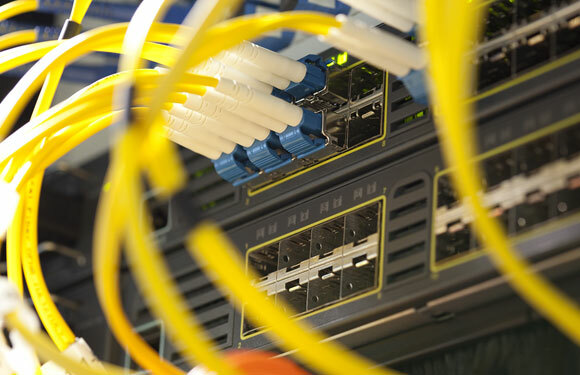 With all our Cisco switches capable of delivering gigabit fiber to the end client we are poised to offer high bandwidth services as they are required.